Some of the apartments offer direct views across Loch Long to Scotland’s most romantic castle. A few minutes’ short walk across Dornie bridge will offer you the opportunity to visit. Worth noting that the castle is illuminated at night if you want to capture that extra-special evening shot. 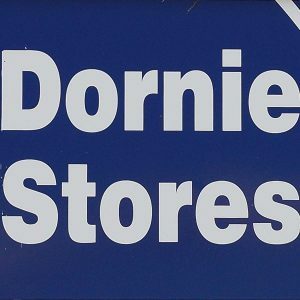 Just opposite the apartments you will see the village of Dornie; offering a small licensed village shop and Post Office to purchase essentials. Evening meals and local beers are available in the Dornie Hotel and Clachan pub. There is a small licensed shop and Post Office located in the centre of Dornie village. It is ideal for all day to day essentials like bread, milk, bacon, eggs, newspapers and most standard groceries. They also offer a service where you can phone them prior to your arrival, and place an advance order which they will deliver direct to your apartment. To utilise this service, call them direct on 01599 555219. All locals try to support this much-needed resource and you’re always guaranteed a friendly welcome, a chat and local information when you need it. 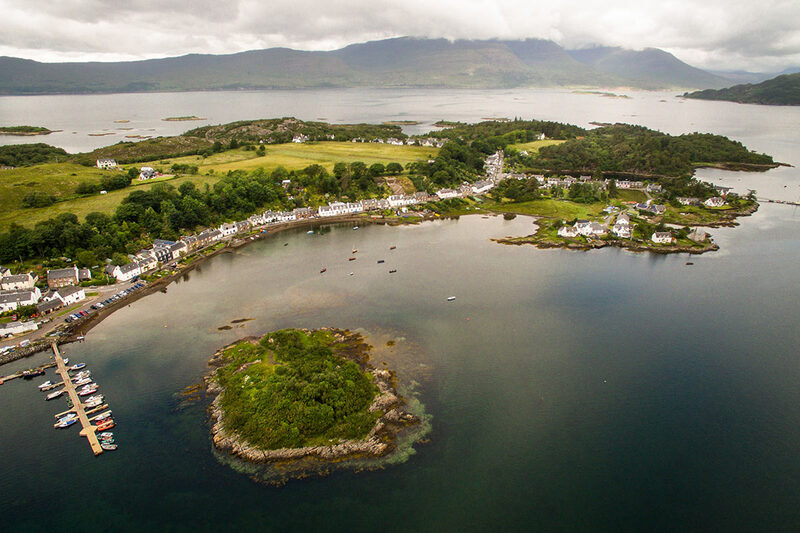 Plockton was once voted the most beautiful village in Scotland, so no visit to the area would be complete without finding out for yourself the reasons why. It was also the mythical home of the Highland Policeman ‘Hamish Macbeth’, one of the most popular television series of the 90’s. Come and see the scenes made famous in the shows, when Plockton became Loch Dubh, and the adventures of the local ‘bobby’, and his wee ‘Jock’ amused audiences all over the world. Calum Mackenzie has been offering seal boat trips out of Plockton for over 30 years and hundreds of thousands of visitors have enjoyed his famed witty banter, old jokes and ever-welcoming smile. His knowledge of the area is second to none, and the added bonus is that the entire trip is free unless he manages to find you seals. He’s staked his reputation on it! Best of all is when the seal pups arrive. 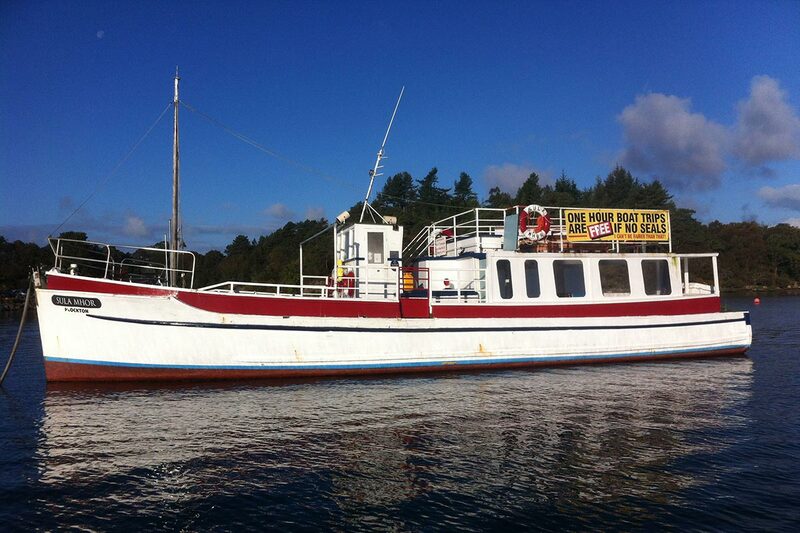 If you only do one boat trip while you’re in the area, don’t miss this one. Operates Easter to late October. The drive over the hill to Glenelg is very rewarding in itself, with fabulous views over the Five Sisters of Kintail. Once you reach Glenelg itself, you will have the opportunity to go “Over the Sea to Skye” courtesy of the wonderful Glenelg Ferry. As you cross the Kylerhea straights watch out for otters, seals, porpoise, dolphin and sea eagles. Well worth the trip! Operates Easter to October. The Glenelg Inn is also a great spot for live music, great food and liberal quantities of highland craic! If you choose to head for Glenelg, then don’t miss the brochs. The ancient 2000 year old towers are situated in a beautiful glen and just a short drive from the village itself. These are two of the best-preserved brochs in all of Scotland and offer a fascinating glimpse into life in a bygone age. 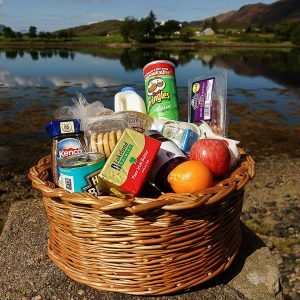 The Plock is a community-owned area of land of almost 100 acres, situated about 15 minutes’ drive from the apartments, close to the Skye Bridge on the outskirts of Kyle of Lochalsh. It offers some wonderful easy walks, wildlife, and views of the locale. Try and head up to the highest point, where you’ll be rewarded with magnificent views over Loch Alsh, the bridge and the Cuillins of Skye. Eilean Ban was originally home to the lighthouse keepers and their families. Situated between Kyle of Lochalsh and Kyleakin, the island was once owned by Gavin Maxwell, author of “Ring of Bright Water.” It now supports a wealth of wildlife and natural heritage of both local and national importance. Only 20 mins drive from the apartments, the beautiful Attadale Gardens were originally created by Baron Schroder in the late 19th century, and offers 20 acres of stunning gardens to enjoy at your leisure. Open late March to late October.